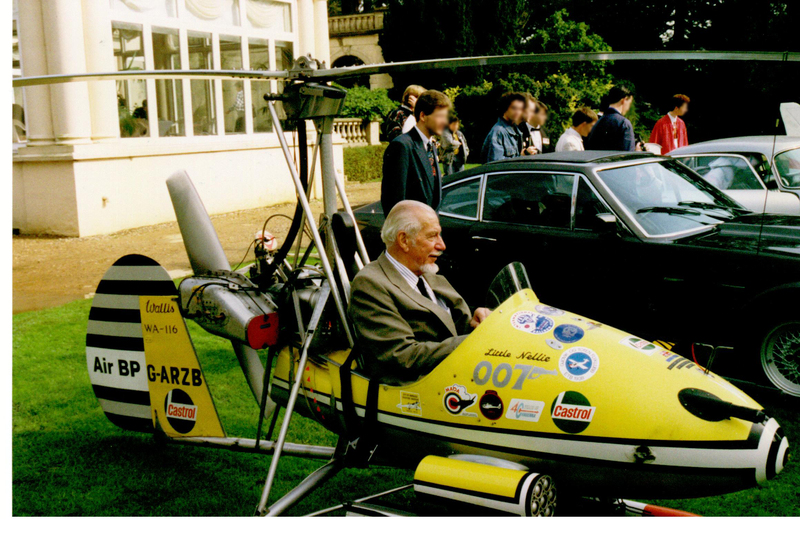 Ken Wallis, 97, the real-life pilot of the mini-helicopter Little Nellie has died, ACCORDING TO AN OBITUARY ON THE BBC’S WEB SITE. Little Nellie, which appeared in the 1967 James Bond film You Only Live Twice, was an aerial equivalent of the Aston Martin DB5 that was featured in Goldfinger and Thunderball. In the John Cork-directed documentary Inside You Only Live Twice, YOLT production designer Ken Adam says he heard a BBC interview with Wallis about the mini-helicopter. Adam checked it out and made design changes so the aircraft could included in the fifth James Bond film. The documentary details how Wallis had to make many flights to produce several minutes of screen time for the 1967 movie. Retired Wing Cdr Ken Wallis, who lived near Dereham, Norfolk, died on Sunday, his daughter confirmed. Born in Ely, his first solo flight was in 1937. Thirty years later he doubled as Sean Connery’s Bond for an explosive aerial sequence in You Only Live Twice. His daughter Vicky said her father passed away after “a long and successful life doing what he wanted”. Honoured with an MBE in 1996, he piloted 24 wartime missions over northern Europe in Wellington bombers, before spending 20 years engaged in weapons research in the Royal Air Force. UPDATE (Sept. 13): To view The New York Times’ obituary on Ken Wallis (published Sept. 9): just CLICK HERE.